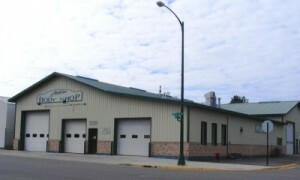 The Cluff family has been providing exceptional auto body collision and paint repair in the Aitkin County Area since 1974. Current owners, Steve and DeeAnn Cluff are dedicated to quality and customer service. We will walk you through the repairs to your vehicles and take the time to explain the repair process to you. All of our auto body repair technicians undergo continuous collision repair training to keep up to date on all the latest auto body repair techniques and manufacture guidelines, so all collision repairs are done to industry standards and your vehicle is repaired to its pre-accident condition. At Aitkin Body Shop we work with all insurance companies to repair your vehicle in an efficient and timely manner, all without compromising our high auto body collision repair quality or standards.